Putting Your Life Back to Normal Following a Water, Sewage or Fire & Smoke Disaster: Who do I call? Who do I trust? When you experience a natural disaster from a major weather event like a flood or hurricane, or you’ve experienced the devastation from a water or sewage accident or fire, getting your life back to normal involves more than just a thorough and professional clean up. When you are in need of remodeling and repair in Estero, Mr Dry is the place to call. The experts at Mr. Dry Services have been serving SWFL since 1999. They understand that the cleanup is just the first phase of restoring your normal life. We hope you never experience one of these life changing events, but if you do, owner Mike Brigandi, (Big Mike) and his team of highly trained professionals have restored our clients lives for 30 years. What to Consider When Choosing a Home Remodeling & Repair Contractor? In the aftermath of a fire or major water damage disaster choosing the right remodeling contractor is as important as choosing the right company to clean up the damage. For example, in a fire it’s quite normal for a home or business to experience significant structural damage during the process of putting out the fire or in the clean up process. Who better to understand exactly the kind of damage you may have incurred in order to restore and repair your property, than the company that performed the cleanup? Making the wrong decision can leave you with less than desirable results and could lead to unnecessary additional expense. Mr. Dry Services can handle your disaster from start to finish and take care of both your cleanup and restoration needs as well as your post disaster construction needs. You can trust that owner Mike Brigandi can provide for a seamless transition from restoration to rebuilding and reconstruction. Big Mike and his team of experts will insure that your home or business will be restored to it’s original state or better in the shortest possible time. We know how disruptive a disaster can be to your lives and we strive to get you back to normal as if your disaster never occurred. We can help you get your life back to normal after a disaster. 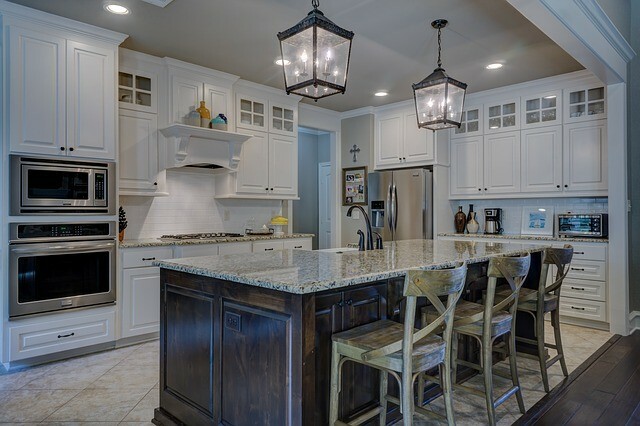 As a family owned and operated business, owner Mike Brigandi wants to help you in every phase of the process in putting your home or business back together as new. Our trained and licensed staff are leaders in the industry in restoring and remodeling properties following water, sewage, fire & smoke damage. Our equipment and skilled technicians will tell us when each area is completed, and a safe environment is established so we can begin the remodeling and repairing phase of your properties restoration. If you find yourself in need of a fire & smoke damage restoration company, please choose Mr. Dry Services, a trusted family owned business in your community with over 30 years’ experience. And when the restoration is completed, look no further than Mr. Dry Services to handle all your remodeling and repair needs.